Maritain (1882-1973) was a French philosopher, who converted from Protestantism to Catholicism in 1906 (along with his wife, Raïssa Oumançoff, a Russian Jewish émigré). His thought is heavily metaphysical and was shaped by Thomas Aquinas, Aristotle and John of St Thomas, as well as Spinoza and Henri Bergson. Maritain argued for an ethical form of ‘integral humanism’ that brought together the spiritual and political within the ‘human’, an idea key to the UN’s 1948 Universal Declaration of Human Rights, which Maritain helped draft. His theory of ‘co-operation’ was also foundational to the Christian Democratic Movement. Maritain taught at the Collège Stanilas, the Institut Catholique de Paris, Toronto, Columbia, Princeton, Notre Dame and Chicago, and was French ambassador to the Vatican from 1945-1948. 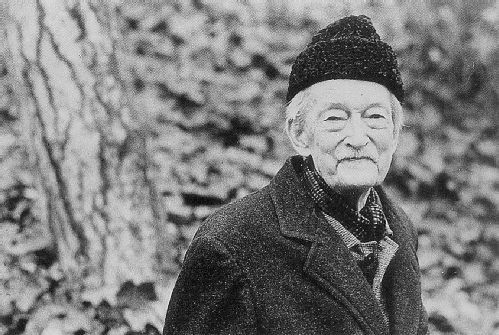 After Raïssa’s death, Maritain lived with the Little Brothers of Jesus in Toulouse, France and became a Little Brother in 1970. His thought also underlines Rowan Williams’ 2005 Clark Lectures. His philosophy of art gives an account of ‘poetic’ (artistic) knowledge that sees art as a way of becoming aware of the self without overplaying the value of reason. Maritain calls this poetic knowledge as instance of ‘creative intuition’ that arises out of ‘the free creativity of the spirit’: it is non-conceptual, non-rational and ‘obscure’, but at the same time, remains a ‘concrete reality’ that founds both moral and mystical experience. The reading for this week’s session includes two sections from Maritain’s account of poetic knowledge (Creative Intuition in Art and Poetry); and Williams’ Clark Lecture on Maritain (‘Modernism and the Scholastic Revival’). You can access both texts through our Reading Materials website.